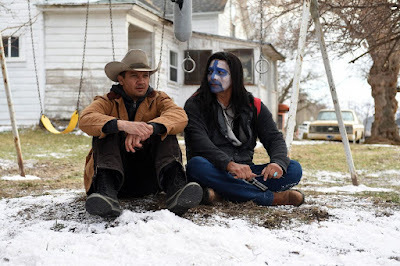 It is a crime thriller set on an Indian Reservation where a rookie FBI agent (Elizabeth Olsen), joins forces with a town’s veteran game tracker (Jeremy Renner), to investigate the murder of a young woman (Kelsey Asbille). This remarkable film, if you haven’t already seen it, has amazing storytelling. In an interview, the writer is quoted as stating: "People in my screenplays don’t say hello, and they don’t say goodbye, and they never say yes or no. There’s always a more interesting way to say those things… I never move plot with dialogue because I know how thankless and difficult a job that is, and it’s lazy." Not to give away any of the plot or spoilers, but it quickly becomes obvious who the bad guy(s) are, yet it doesn't take anything away from the character-driven storyline. In a way, it only made it feel more intense, and it tightly keeps the focus on each of the main character’s GMCs and ARCs. I’m still thinking about the story now, today. That is good storytelling. Whenever the audience is still thinking about it long after a book or movie has ended. 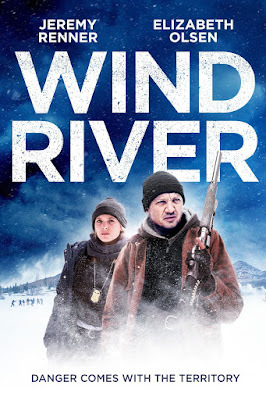 What I enjoyed most about this movie was the dialogue, while some it was a touch cliché (being rude to the female rookie FBI agent), the other conversations were riveting. I recommend watching it just to study the character ARCs, suspense, and dialogue. I don’t think you’ll be disappointed.